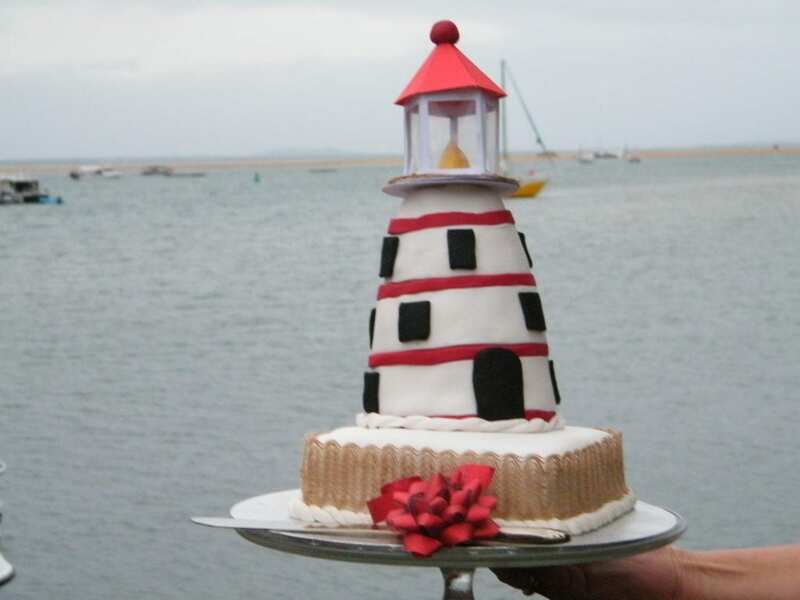 09 Jul 150 Years of Lighthouse Light! June 2018 marked another achievement in the quaint seaside Town of 1770. 1770 LARC! Tours held an intimate celebration that included cake and bubbles to mark the special occasion. 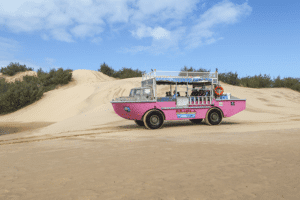 “Yet another milestone for the Discovery Coast and the Town of 1770! The LARC! family and crew understand the importance and sheer beauty of Bustard Head Lightstation. To celebrate this 150th shining of the light is very special to all of us” LARCman Neil said about the days events. 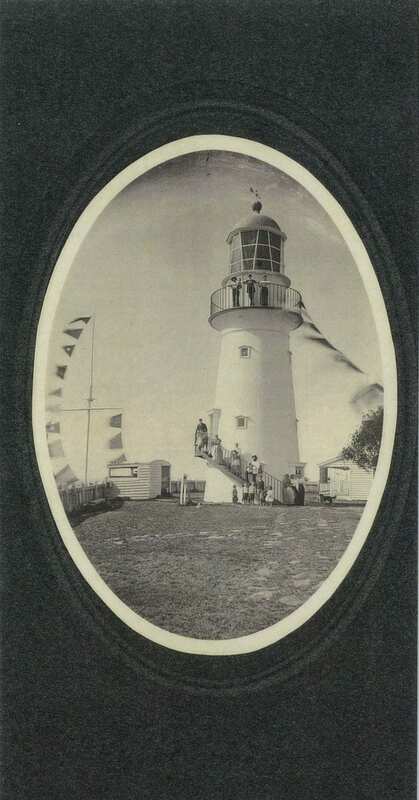 Historic Bustard Head Lighthouse, situated just north of the Town of 1770, was established as the first coastal lighthouse tower in Queensland and it began operation on 26 June 1868 – 150 years ago. 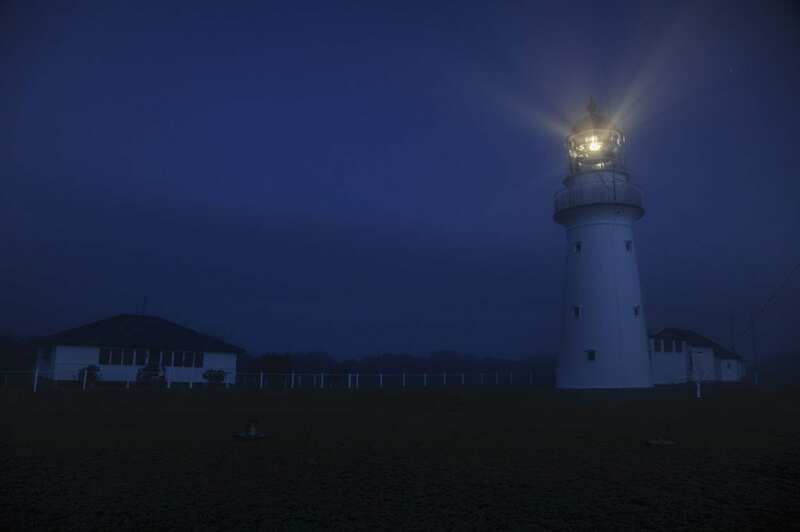 The light can be seen for over 20 nautical miles in the distance, performing its unique light sequence to ensure safe passage for vessels navigating Queensland’s dangerous rock and reef strewn coast. For 118, years a light-keeper would climb the steps of the Bustard Head Lighthouse tower and light the lamp, throughout the night. Its dark out there! Imagine being out at sea, at night negotiating coastlines, bays and other vessels. Any light would be handy?! Moonlight, starlight or the more importantly Lighthouse Light. The Queensland Coast line, including the Discovery Coast, has various reef and rock strewed through its waters. Bustard Headland is no exception to this rule. With four sets of rocks sitting just off the headland itself, this deemed it valid for a Lighthouse way back then. These rocks and now reefs protrude through the water at low high – a major hazard for any passing captains. Even in recent times vessels are still negating our beautiful but sometimes deadly coastline. Imagine being a captain seeing the Light from the ocean and it being the reason they don’t collide with Bustard Headland’s famous rocks! How did they build the lighthouse? The construction was made from prefabricated cast iron plates and put together like a piece of Ikea furniture. The tower was erected in the Hennet, Spinks and Co yard in Bridgewater, England. After putting it together in England and making sure it was all good it was flat packed and transported to Brisbane in April 1867. Once arriving in Australia if began it’s journey towards it’s final resting place – Bustard Headland. When visiting the lighthouse, if you take particular notice, the flat packed lighthouse bits were put back together in a not so orderly fashion! Some lower pieces were placed upside down and not in such a “normal” order…..but hey it’s worked for this long right? 150 years to be precise! When was the light automated? In 1986 the Bustard Head Lightstation was de-manned and the lighthouse tower automated. Now, this was not good for a couple of reasons! The lighthouse keepers, their wives and children had to leave the station leaving the Lighthouse Station with no one living there. This led to 16 years of senseless vandalism with some buildings almost being destroyed. 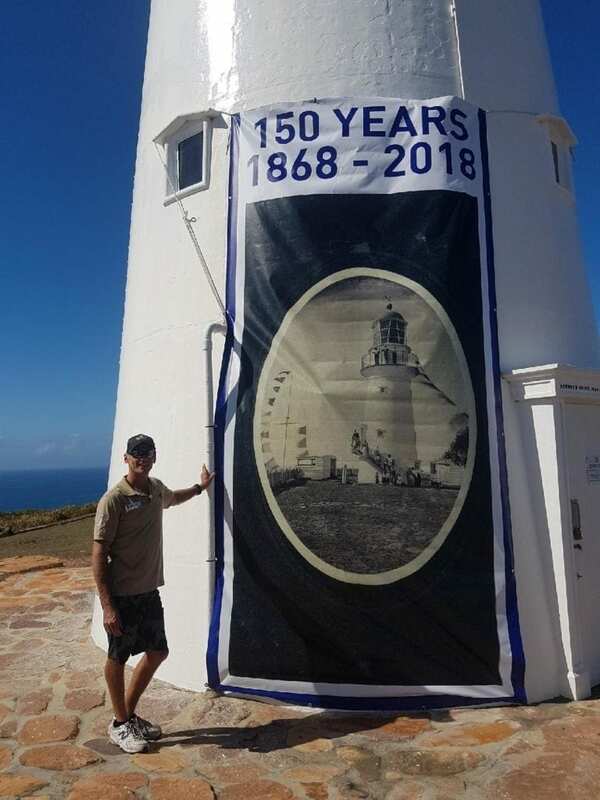 Thankfully, in 2002, with the formation of the Bustard Head Lighthouse Association, the restoration of this National and State heritage listed site began. Shirley and Stuart Buchanan founded the Bustard Head Lighthouse Association and Stuart to this day still spends some months in a year care-taking at the Lightstation. A true gentleman of the sea and lighthouses, a historian with yarns about adventures for days! In celebrating the 150th year of the Bustard Head Lightstation Light, the LARC! 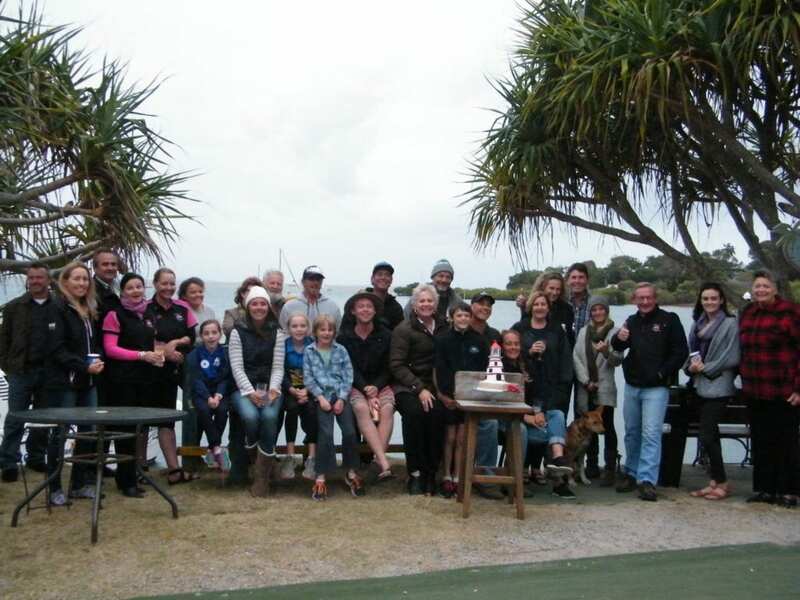 family and crew honoured Lighthouse keepers, everyone who ever lived at the station and the volunteers that assisted in the restoration of the Station itself. 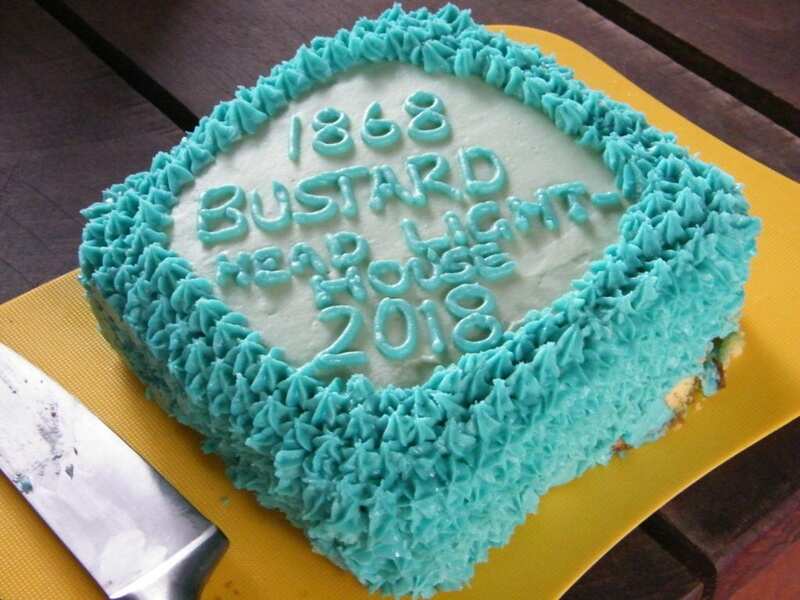 Happy Birthday Bustard Head Lightstation light – we salute you! We look forward to seeing you shine for the captains of the sea for generations to come.